Professor Wendy Bickmore FRSE FMedSci, Director of the MRC Human Genetics Unit in Edinburgh, is to deliver the SLSRSA Women in Science Festival Seminar on Friday 11th March at 2pm in Lecture Theatre 1 of the Dalhousie Building. The seminar entitled 'Throwing a light on gene regulation', highlights how her work uses multi-colour fluorescence microscopy to explore the folding path of specific genes. Despite its immense length, the linear sequence map of the human genome is an incomplete description of our genetic information. This is because information on how our genes are controlled is also encoded in the way that the DNA sequence is folded up with proteins within the cell nucleus. Professor Bickmore's work tries to understand this three-dimensional folding of the genome, and how it controls how our genome functions in normal development and how this may be perturbed in disease. A main feature of her work is the use of visual assays to investigate the folding path of specific genes as they are switched on and off, and to identify the proteins that bring about this folding. 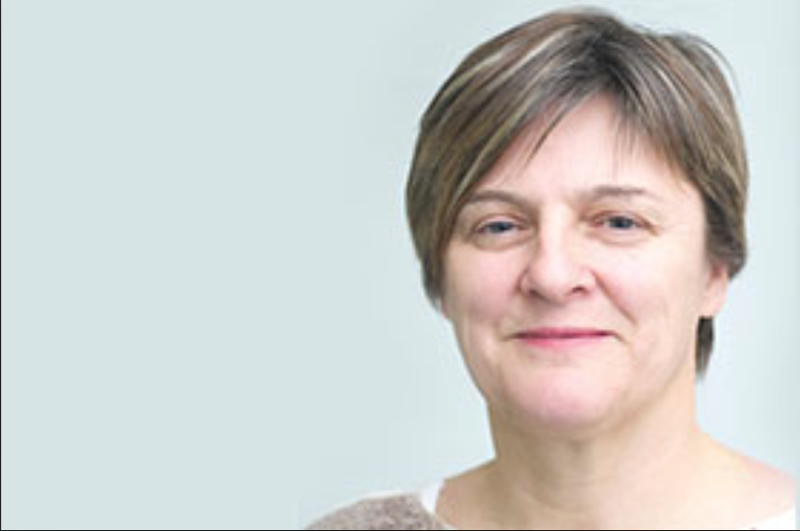 Wendy Bickmore has been Director of the MRC HGU since 1st August 2015. After an undergraduate degree in Biochemistry at Oxford, she obtained her PhD at Edinburgh University. During postdoctoral training, she became fascinated by the structure and organization of chromosomes in the nucleus and as an independent fellow of the Lister Institute of Preventive Medicine from 1991-1996 she went on to show that different human chromosomes have preferred positions in the nucleus, related to their gene content. As an MRC group leader she then investigated how individual genes are organized and packaged in the nucleus and how they move in the cell cycle and during development. Current research in Wendy Bickmore’s laboratory focuses on how the spatial organization of the nucleus influences genome function in development and disease. Wendy is an EMBO member and a Fellow of the Royal Society of Edinburgh and of the Academy of Medical Sciences. She is an editor on many journals including PLoS Genetics and Cell.